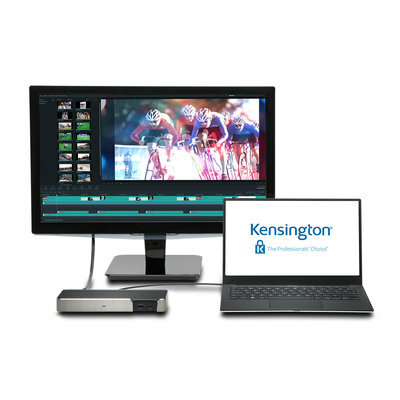 For over 35 years, Kensington has been The Professionals’ Choice for desktop productivity solutions. 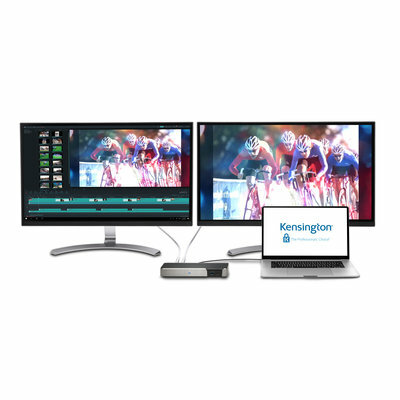 Continuously supporting the most advanced technology, Kensington has engineered the game-changing SD5000T Thunderbolt 3 Docking Station. 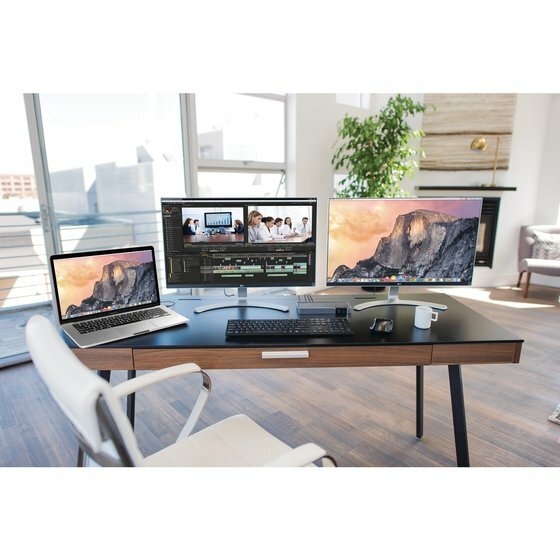 Whether you’re a video editor, graphic designer, content creator, gamer, or just someone who wants to simplify a 4K workspace, you get more — more speed, more pixels, more power, and more possibilities. 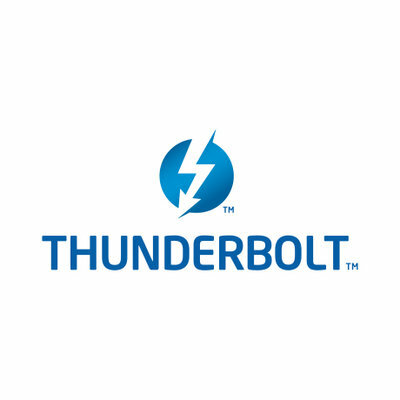 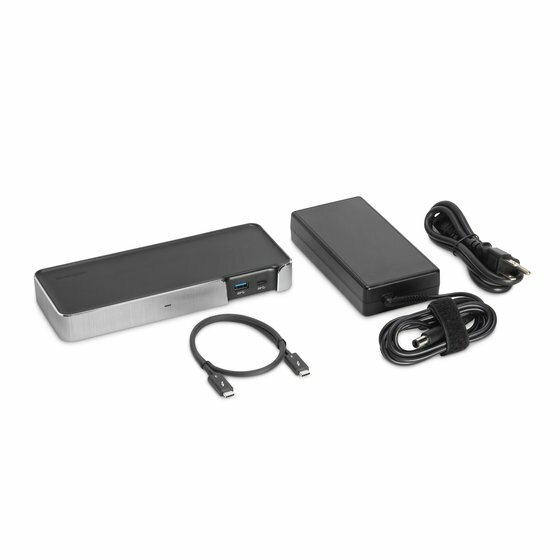 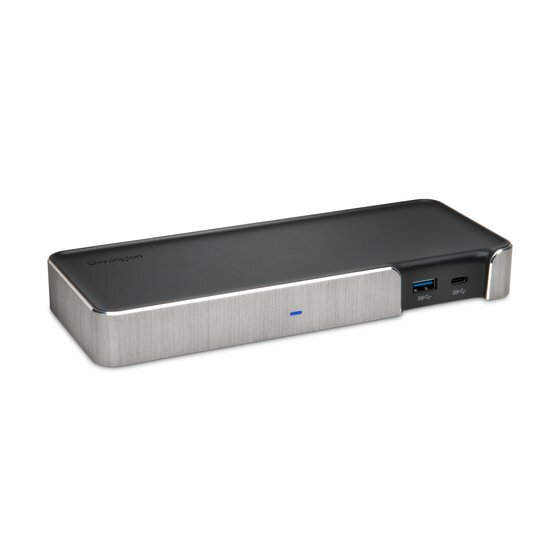 Accommodating a single Thunderbolt 3 cable carrying up to 40 Gbps of data, which is enough bandwidth to simultaneously run two 4K monitors at 60 fps, while also providing up to 85 W of laptop charging, the SD5000T Thunderbolt 3 Docking Station is a power user’s solution for hyper-productivity. 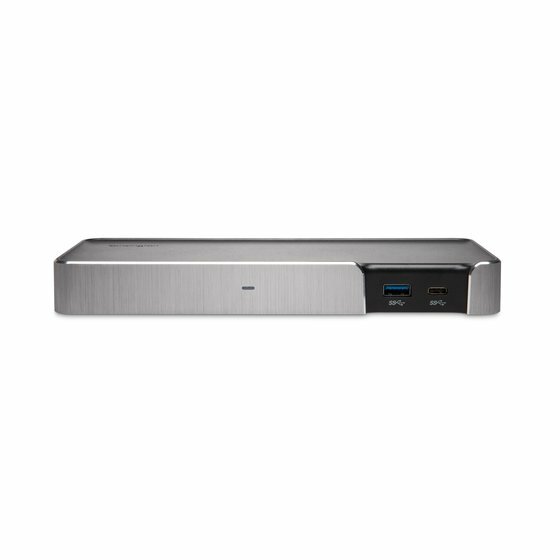 Brings lightening fast data transfer speeds up to 40 Gbps to your desktop setup, allowing you to transfer a 4K film in less**than 30 seconds and connect two 4K displays with nearly 16 million more pixels than an HDTV – all while supplying power to**your host. 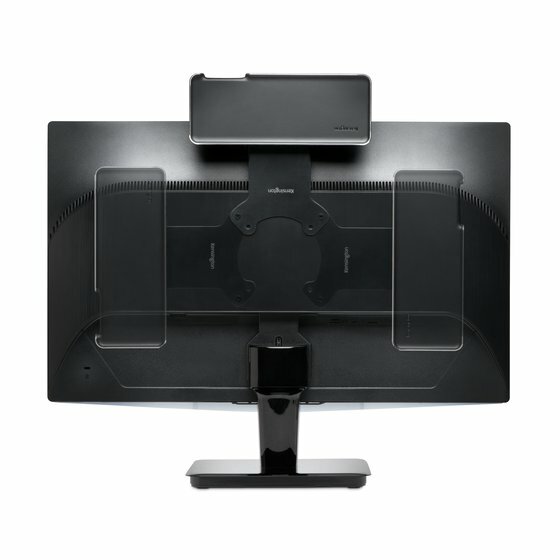 The perfect solution for business professionals, designers, and gamers, the dual 4K connections provide the crisp resolution, contrast and colour depth of Ultra HD (4096x2160) on two monitors at the same time at 60 fps. 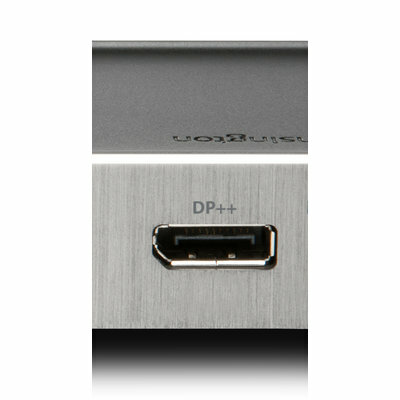 Using DisplayPort and a Thunderbolt 3 port using a USB-C to HDMI (K33993WW) or USB-C to VGA (K33994WW) video adapter, you’ll see more pixels with more speed than ever before (adapters sold separately). 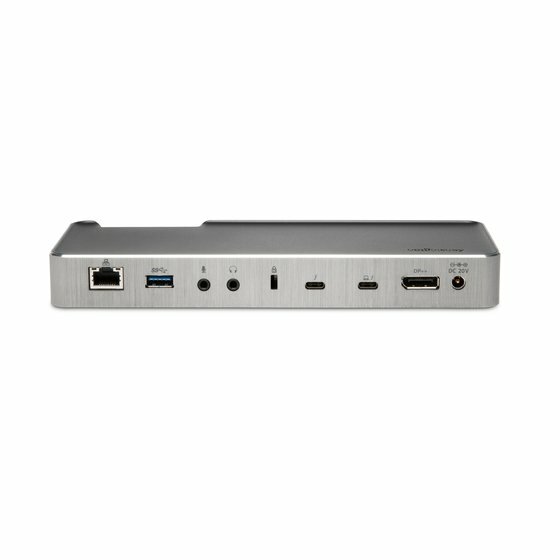 Expand your device’s productivity capabilities by plugging your peripheral accessories into one USB-C 5 Gbps port, and two**USB 3.0 ports, one of which is a 2.1A charging port to power up a tablet or smartphone. 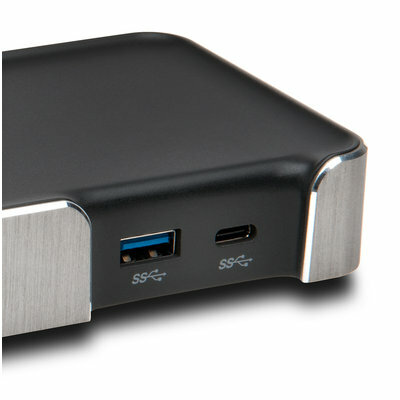 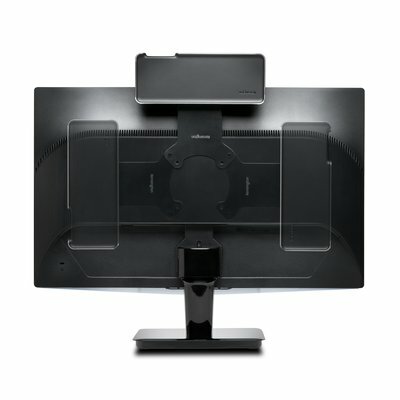 The dock can be mounted to the back of any VESA-compatible external monitor (mounting plate (K33959WW) sold separately),**allowing you to keep your desktop less cluttered. 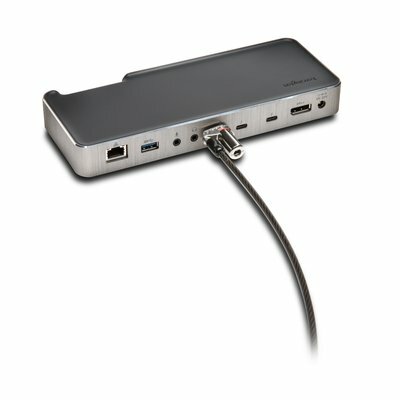 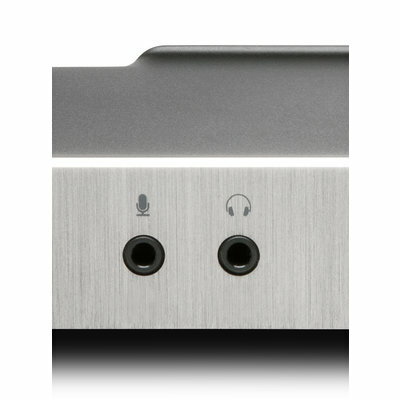 In addition to the other accessories you connect via USB, you can also connect up to 5 Thunderbolt 3 devices by daisy chaining them together using the dual Thunderbolt 3 ports as in/out ports. 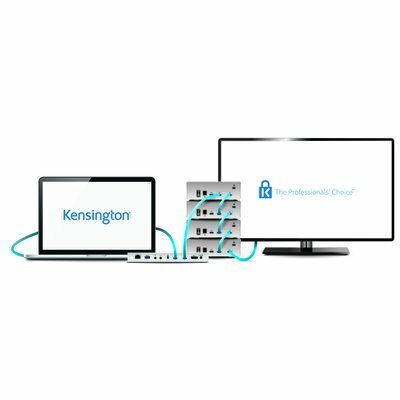 Allows you to easily implement a cable lock from the No 1 brand in physical device security to protect your technology investment from potential thieves. 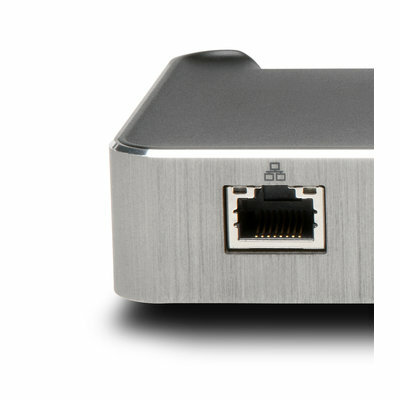 Provides you with a reliable 1 Gb wired network connection between computers or the internet.